I set out to see if a firmware update would cure a problem with excess noise in RAW images from my Sony a6000, and on my way to find out, I discovered that Sony's Mac OS X firmware updater is a flaming bag of poop that bricked my camera. What I learned on my way to a solution is probably applicable to other similar Sony cameras. The Sony a6000 is a wonderful camera. I bought one when it first came out as an upgrade from my NEX-5. In silver, it has a classic look without pandering to hipster faux 1950s rangefinder affectations. With 24 megapixels in an APS-C sensor, it packs prosumer DSLR specs into an under $1000 compact camera body. 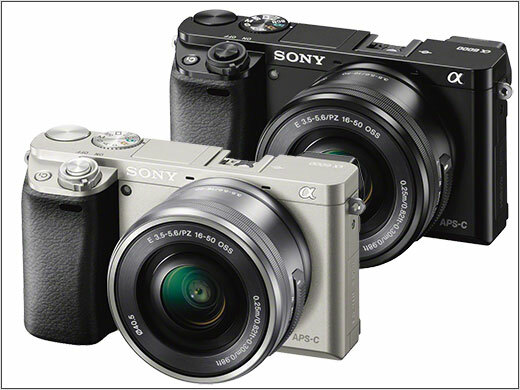 Sony's mirrorless product line got me back into photography, starting with the NEX-5, which is a modern classic of industrial design and a tour de force of camera technology packed in a tiny magnesium body. I especially like shooting with an old Canon f1.4 50mm lens on an adapter/speed booster that brings the effective wide-open aperture to around f1.2, with a scalpel-fine depth of field. I also enjoyed treating the sensor in the NEX-5 as if it were an electronic sheet of film, using RAW image data and digital darkroom software like Rawtherapee to perform the kinds of correction modern cameras normally do for you. The problem was that the RAW files uploaded from the a6000 were excessively "noisy." Areas that should have been smooth were speckled with what looked like random noise. So I was constrained to using the jpeg files, which were, really, just fine. But it continued to annoy me that I wasn't getting at exactly what the lens laid down on the sensor. Recently it occurred to me I should check the firmware versions. I downloaded the firmware updater from Sony's site, I borrowed a Mac to run it on, and proceeded to run the updater. The updater informed me I was upgrading from firmware version 1.00 to version 3.10. Excellent! With so many missed updates I felt my odds were good that there was a fix for noisy RAW files in there somewhere. The updater has a spartan use interface with a text area purportedly reflecting the state of the update and prompting me to perform various steps like connecting the usb cable and selecting the correct mode on the camera for the updater to run. It appeared that the update completed correctly, based on what was on the updater was telling me. I clicked on the "Finish" button and, somewhat to my horror, the camera did not restart. The screen was blank. A red LED near the battery door was on. Turning the camera off and back on did not help. Nor did pulling the battery. Re-running the updater yielded the same result. A search for similar problems turned up a lot of untested advice: Turn it off, try again, take out the battery, etc. None of those nostrums helped. I started to search for official support from Sony for bricked cameras. None. You're on your own. If you follow these steps, your camera should turn on when the update is completed. The really good news is that the firmware update appears to have fixed the "noisy RAW files" issue! I am happily using my favorite digital darkroom workflow again.